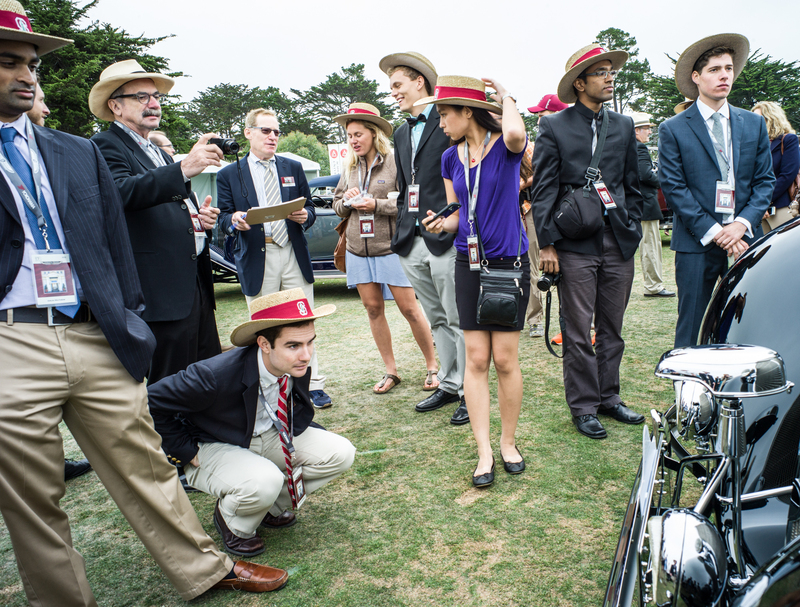 Yesterday was the culmination of ME200 – a class at Stanford concerned with the historical significance of things. 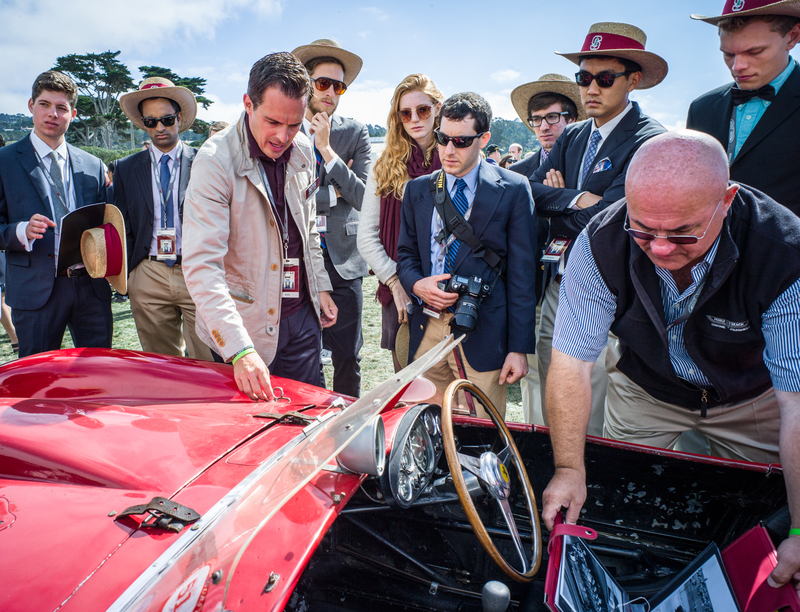 With about 30 students last term Reilly (Brennan), Jon (Feiber) David (Kelley), and I explored how cars connect with history. 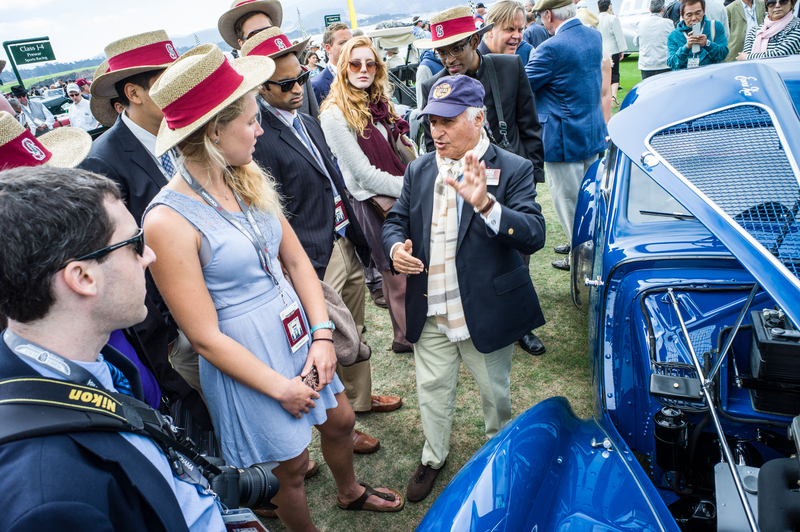 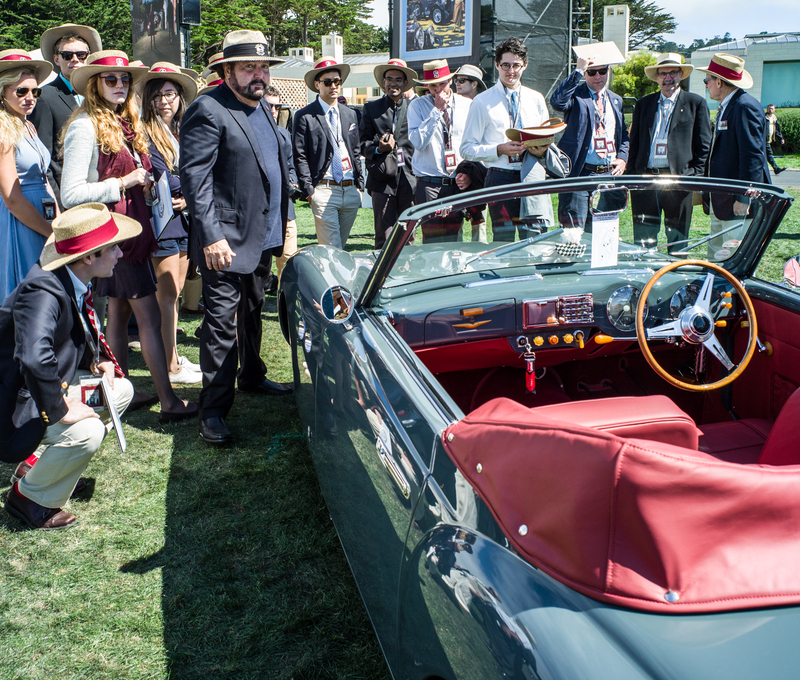 The objective – to judge which of the cars entered for the Pebble Beach Concours d’Elegance was the most historically significant, and to award that car the Revs Program at Stanford Prize. 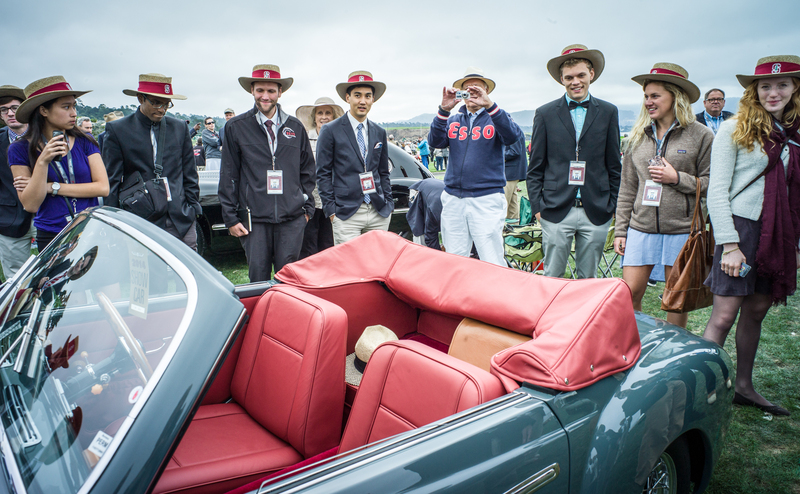 Once each year, on the third Sunday in August, about 200 of the most prized collector cars and motorcycles in the world roll onto the fairway of what is often called the best finishing hole in golf — the famed eighteenth at Pebble Beach Golf Links. 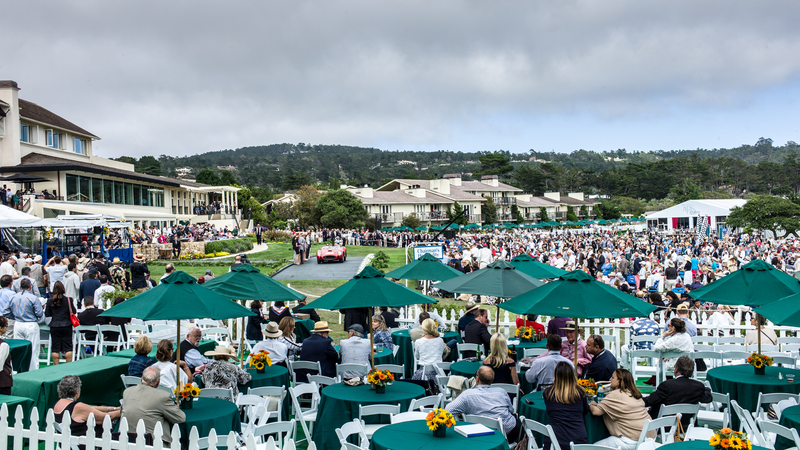 Tire meets turf and transformation occurs: the stage is set for one of the most competitive events in the automotive world. 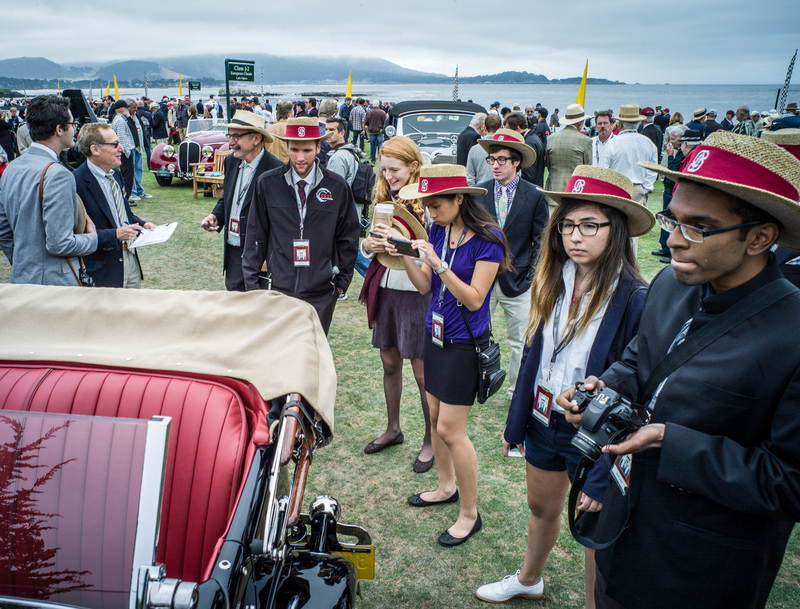 The occasion is the Pebble Beach Concours d’Elegance. 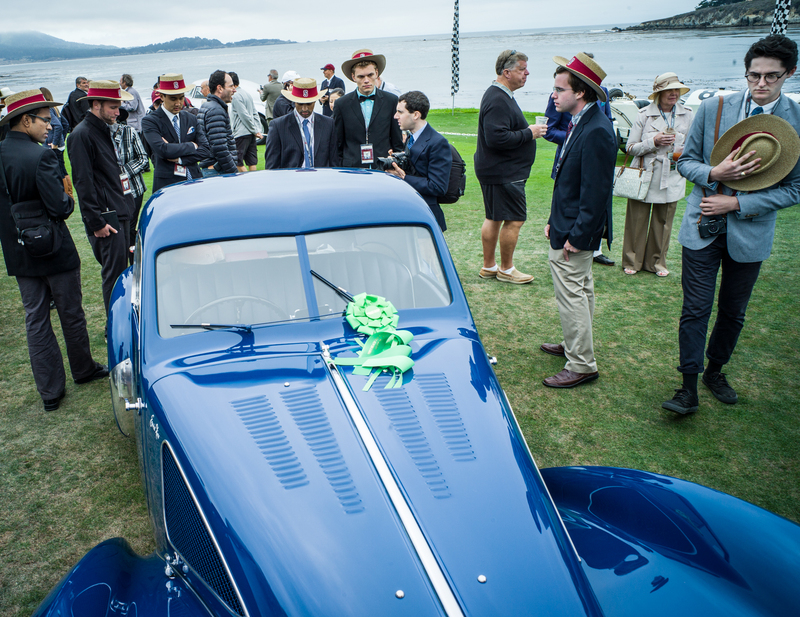 Originally a small social event paired with a road race through the pine and cypress forests of Pebble Beach, the Pebble Beach Concours has grown into the top-ranking collector car competition in the world. 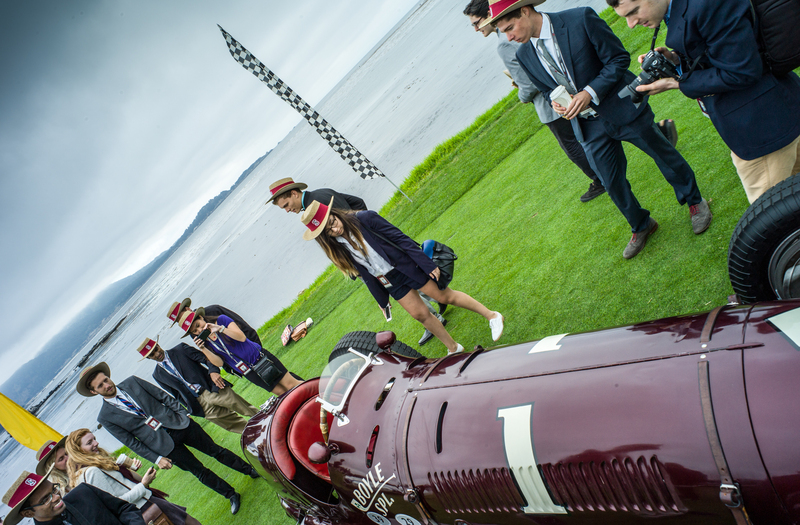 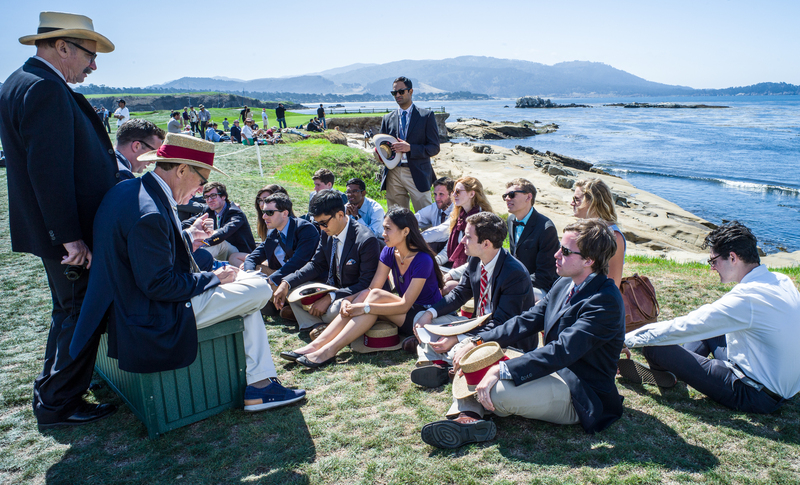 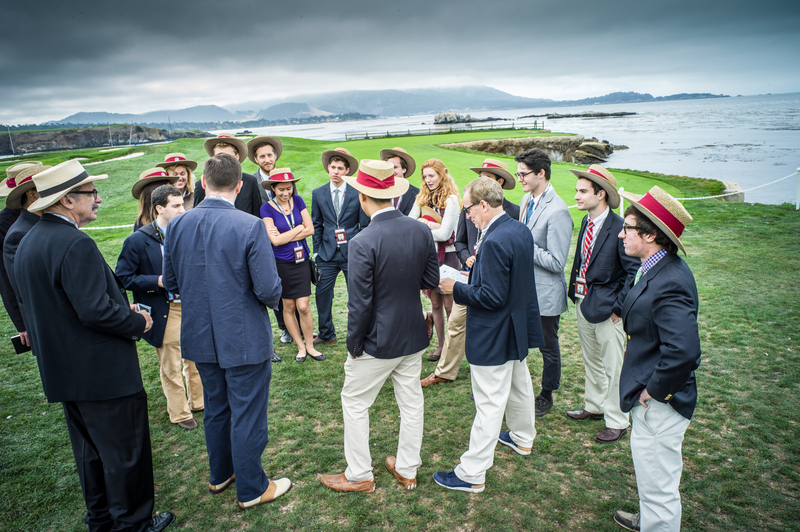 People from all over the globe come to compete in or simply witness and enjoy the event here at Pebble Beach. 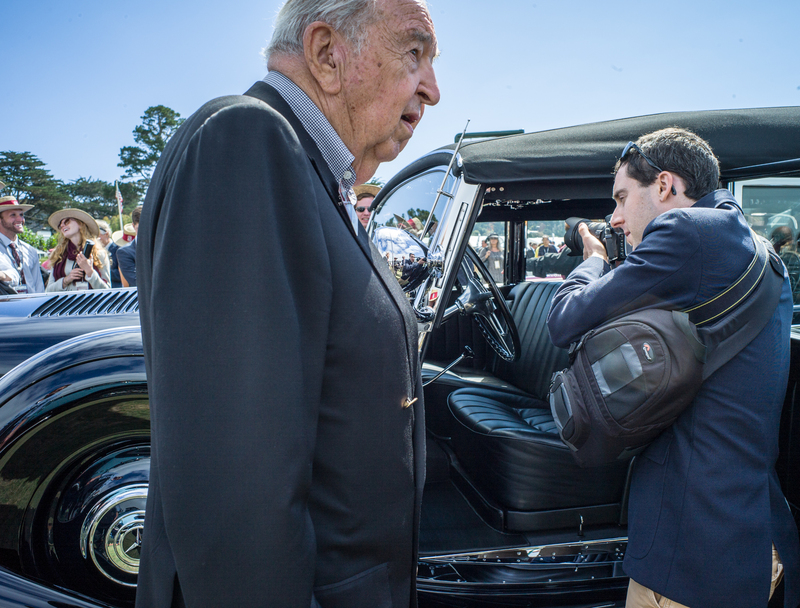 The class members, there to make the final call yesterday, looked at a 1941 Mercedes Benz 770K Offener Tourenwagen – an extraordinarily imposing 10,000 lb staff car given to Finland’s Field Marshal Mannerheim by Hitler, and now owned by General Lyon; a 1938 Maserati, successful in many US races; Leo Schigiel’s 1952 Cisitalia 202 Gran Sport Cabriolet – an archetype of small sports car styling; and a 1939 Talbot Lago T150 C SS Pourtout, completed and raced after the war, and now owned by Sir Michael Kadoorie of Hong Kong. 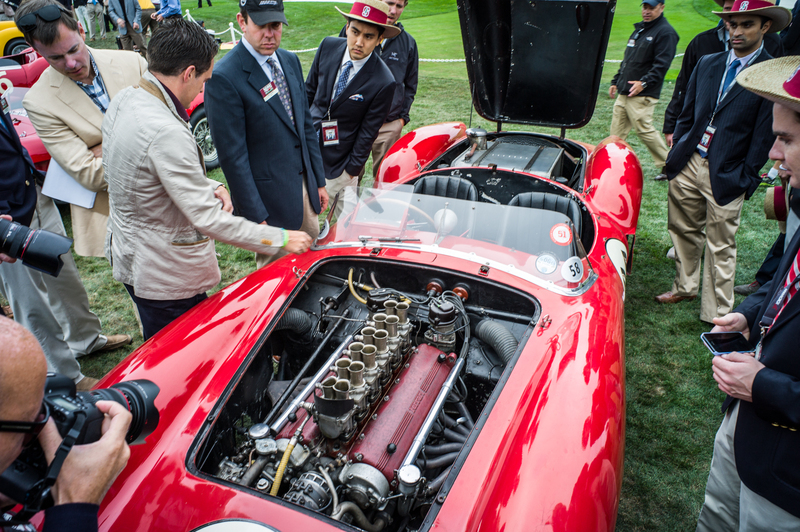 The prize went to Tom Hartley Jnr’s 1957 Ferrari 250 Testa Rossa Scaglietti Spyder – a prototype of Ferrari’s 250 TR project and in very fine unrestored condition.